Tomfoolery is a mobile app lab founded by ex-Yahoo and AOL execs committed to making enterprise solutions more consumer-friendly. Its debut app is the conversation platform Anchor. Anchor allows users to share files from Box.com and Dropbox, syncs with Evernote, and lets companies create company directories on the platform — a listing of all employees who are on Anchor — which can be used to find email and phone details, as well as link for chatting. Ethan started coding when he was 13 and hasn't stopped since. 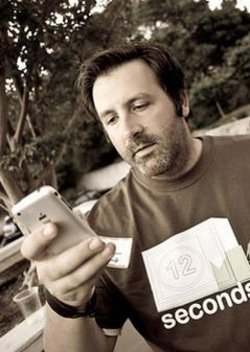 Though he spent most of his career fixing big, messy enterprise software stacks, he fell love with the potential of mobile when he bought the first iPhone in 2007. He is an architect-hacker and was the most senior technical leader at AOL to still code. Ethan's dog Lucy is a fierce attack dog. Sol Lipman is an experienced entrepreneur and mobile developer who recently joined AOL as a part of the companyâ€™s acquisition of Rally Up, maker of the popular Rally Up and FacePlant mobile applications. At AOL, Sol is focused on bringing killer mobile-first applications to market and identifying mobile opportunities for existing AOL properties. Sol was the founder and CEO of Rally Up and also co-founded 12Seconds.tv, an online video sharing platform. Prior to that, he co-founded Sticky Inc, a flash memory-based operating environment that was acquired by DeviceVM. 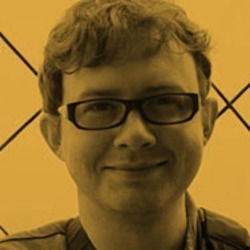 During the swinging dotcom days, he founded thedigs network, which was acquired by idrive and is credited as being one of the first social networks. 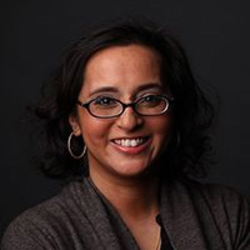 Kakul Srivastava is CEO and co-founder of Tomfoolery, a mobile-first startup dedicated to building amazing apps for work. Over her 15 year career, Kakul has helped build some of the most loved consumer products ever -- Adobe's Photoshop line of products, Flickr, Yahoo! Messenger, and Yahoo! Mail. At Adobe, Kakul managed the team that launched Photoshop Album - the first ever consumer product to introduce the concept of tagging photos. She then went on to join Yahoo! as the first product person at Flickr, where she eventually became GM and led her team to grow the fledgling social photo service from 37,000 users to over 60M. Kakul’s career at Yahoo! led her to become one of the top female executives in the company, as she took on the role of VP, Product for the Communities & Communications Division that included Y!Mail, Messenger, Groups, and Answers products. In this role, Kakul drove the biggest redesign of Yahoo Mail in 5 years, and managed a monthly user base of 450M+ and a global team of close to a hundred people. Prior to forming Tomfoolery, Kakul was part of the leadership team at TinySpeck, an online game startup that combined the best parts of casual social gaming with MMO’s. At Tomfoolery, Kakul is leading a rapidly growing team of entrepreneurial rock stars who have set out to change the way we look at mobile enterprise software and to “make work awesome”. Kakul has two children and strongly believes that working moms can be passionately dedicated to both their careers and their children. To that end, she serves on the Board of Trustees of her children’s preschool, Little School, as well as helping their elementary school, MCDS, develop excellence in STEM (Science, Technology, Engineering, Math). Kakul is a graduate of MIT with a BSME in Mechanical Engineering and Biotech, and also holds an MBA from the University of California, Berkeley Haas school of business. She serves as Co-Chair of the Cure Violence Advisory Board and published several papers in peer reviewed journals about protein biochemistry and the pathways that lead to Alzheimer's Disease and Downs’ Syndrome. Simon built huge portions of Flickr's back-end back in the day, and was almost single-handedly responsible for Flickr's internationalization, including all of that gnarly stuff related to moderation, abuse mitigation, and monetization. He built large parts of the Glitch social layer at Tiny Speck. Before all this, he was part of the Search team at Yahoo. He likes simple, scalable solutions to ugly, hairy problems. He is British, but we try not to hold that against him. To hear Kakul Srivastava break it down, it appears the answer is “yes.” Srivastava and her team at Tomfoolery (which just this week was acquired by Yahoo) are on a mission to create fun and social software for people at work, based on the belief that our work and personal lives are intertwined. Mobile messaging and mobile communications tools have grown like a weed on the consumer side — but what about in a work context? To that end, her company built software for workers to be more social and transparent. Editor’s Note: Michael Abbott is a general partner at Kleiner Perkins Caufield & Byers, previously Twitter’s VP of Engineering, and a founder himself. She has a deep reservoir of experience to draw from, with long-term stints at some of the big Valley companies. “There are 615 million knowledge workers in the world but 2.1 billion workers that are not ‘knowledge workers,'” says Jim Patterson, the co-founder and CEO. “In my experience at Yammer and in talking to Yammer’s customers, I know they would benefit greatly in connecting those line workers with knowledge workers. As of today, Cotap has already signed up employees at 6,000 businesses to use its free app. Whereas a shop assistant or barista may not have been connected on a company network in the past, a handset — equipped with the Cotap app — could suddenly change that. As for paid features that might be coming online with Cotap, two areas that Patterson hones in on are security and push notifications. )There are some ties between Bonforte and Tomfoolery that point to this being an acquisition of a known quantity, so to speak. More immediately, before Tomfoolery, Lipman had been a mobile VP at AOL (where he joined after AOL acquired his startup Rally Up). Update: As we predicted it would, Tomfoolery confirmed the acquisition Wednesday morning, California time. Whether the concepts behind Anchor and the other things Tomfoolery was planning will be reborn as consumer or enterprise products at Yahoo is not clear. According to a source close to the deal, the acquisition has indeed now closed, and Yahoo will officially announce it as soon as this evening or tomorrow morning. We have heard that Yahoo is in advanced talks to acquire Tomfoolery, an enterprise app studio co-founded by two ex-Yahoos and two ex-AOLers. Last year, Yahoo made a couple of acquisitions that are now part of its Small Business group — Lexity (founded by ex-Yahoo Amit Kumar, who now runs the the Small Business group) and Rondee, a conference calling startup. At the same time, Yahoo has its eye on making engaging mobile apps for more than just business users. Yahoo’s acquisition spree continues apace, with the next deal likely to cover a few different bases for the company: mobile, enterprise and bringing ex-Yahoo talent back into the fold. And the final co-founder, Ethan Nagel, is described as an “architect hacker” who has worked both in enterprise but also mobile. For those who use Evernote, you can now export your notes from Anchor into the note-taking platform for future use and reference. For starters, Anchor now allows users to share files from Box.com and Dropbox. Tomfoolery, the mobile app lab founded by ex-Yahoo and AOL execs committed to making enterprise solutions more consumer-friendly, is today launching a new, iOS 7-friendly version of its debut app, the conversation platform Anchor, as well as expanding it to Android. “I can absolutely guarantee that no one is using the other apps in the field as Anchor is being used. “We have been very happy with uptake, and especially engagement within the app,” she adds. The other side of it is that — at least in the way that Tomfoolery envisons Anchor being used — work apps should be built to be used for more than work. Tomfoolery, the mobile app lab founded by ex-Yahoo and AOL execs that aims to make enterprise apps capturing some of the light and free nature of consumer services, is today debuting its first product: Anchor, a real-time conversation app. The bottom line for me is that Tomfoolery is small (only 10 people), full of experience, and hungry. Yammer for example still does not have real-time updates; Convo has buggy mobile apps; and so on. This is almost the point of Tomfoolery: they’re trying to think ahead for times when this might be a problem that needs a solution. As leaders who helped to guide the Flickr team in its early history at Yahoo!, we had front-row seats as Flickr was (sometimes painfully) integrated with the larger Yahoo! Sometimes too much of this “love” can be overwhelming, and at times it definitely led the Flickr team to handle the overtures less than gracefully. A highly productive team culture focussed around continuous deployment, which influenced a general trend towards faster development of many Yahoo! Despite this pain, we believe that Flickr has come a long way as part of Yahoo!, and yesterday’s announcement of a major redesign and refocus is a testament to the continued excellence of the core Flickr team. Back when Flickr was acquired, it seemed everyone was thinking about what the “Flickrization of Yahoo” might mean — except for the team at Flickr. “Enterprise apps have no soul,” he said. The big question there will be whether, in the rush to make stodgy enterprise apps more consumer-like, monetization may prove to be similarly elusive/problematic as it is for many mass-market social apps. But consumerization has also happened at the software level, where people want to have the same kind of functionality in their work apps as they do in their leisure apps. 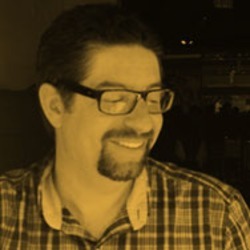 ; and Ethan Nagel, senior technical director, Mobile First at AOL, who had joined, like Lipman, after AOL bought Rally Up. “We believe that it’s about time someone built apps for the enterprise that are consumer grade. Some key members of the Yahoo(s yhoo) mafia are backing a new enterprise software startup with the very unenterprise-y name of Tomfoolery. Salesforce.com’s Chatter attacks the same problem and this week IBM(s ibm) talked up Connections which draws on the social networking meme. AdvertisementMobile firstAdvertisementThe company has a mobile-first plan because most people now pretty much live in and through their small devices, she said. The company’s goal is to make boring enterprise apps as mobile and easy to use as the best of consumer apps, co-founder Kakul Srivistava told meSrivistava was GM of Flickr, Yahoo’s photo sharing service. I agree with Srivistava, however, that many workers, especially the younger smartphone-wielding generation, have little to no patience for the monolithic desktop applications their predecessors used.